Workforce planning in a fast-moving sandwich chain is as much of a challenge as ensuring enough food is available at peak times. EAT decided to combine both by commissioning an innovative piece of software. Sometimes, even though there’s an obvious gap in the market, you simply can’t find the right bit of software to help you do the job. 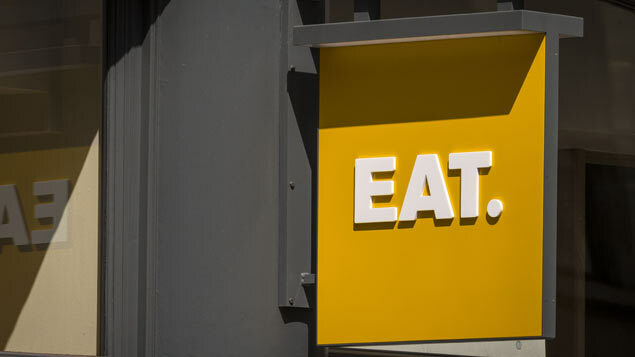 EAT wanted to ensure that it not only always had the right items available for customers, but that it had enough staff on shift at different times. The company had already been working on integrating NimbleSchedule’s cloud-based employee scheduling and time-tracking system with BlueYonder’s Software-as-a-Service-based Forward Demand forecasting applications, which are used to order food ingredients. By plugging the two systems together, the objective was to link demand for food with workforce planning to ensure that enough employees were always available when required. Because of the nature of the business though, which is busiest during lunchtimes and early in the morning for breakfast, EAT was keen to get its hands on a more granular workforce scheduling tool that could divide each day into hours rather than treat it as a whole. Wilson asked NimbleSchedule if it would be prepared to work with the company to jointly develop a new tool built to its specifications on a free-of-charge basis. In return, the vendor would own the intellectual property at the end of the process and be able to sell it on to other customers. NimbleSchedule agreed. The system was initially piloted in a single store and the plan is to roll it out to a further 10 to 15 this autumn for further trials. Wilson acknowledges though that a key success factor in any project of this type is winning over hearts and minds. Another consideration is making it clear that managers are not about to be automated out of a job. Instead, rather than have to spend an average of an hour a week scheduling and five hours forecasting, the goal is to have them spend more time on the shop floor managing staff and improving customer service.